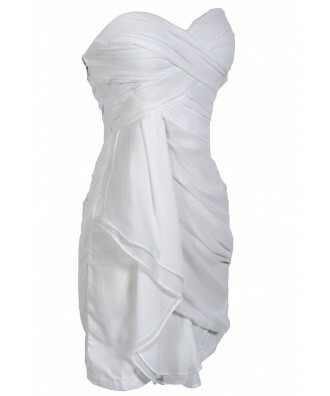 You have added Dreaming of You Chiffon Drape Party Dress in White into shopping cart. Have you been hoping and dreaming for a stylish and sophisticated party dress you can wear to any event on your calendar? This one will make all your dreams come true! The Dreaming of You Chiffon Drape Party Dress by Minuet comes in three great colors and has intricately pleated chiffon fabric at the bust in a lovely criss-cross pattern. The attached skirt is crafted of delicate chiffon and has a flattering drape style and a vertical chiffon ruffle to one side. 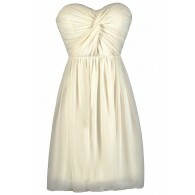 This strapless dress has an adorable sweetheart neckline and a lined and lightly padded bust for support. The Dreaming of You Chiffon Drape Party Dress by Minuet is fully lined with an invisible side zipper. It would look great with strappy heels and a clutch to wear to your next cocktail party or wedding. This fun party dress can take you from season to season and will work for so many occasions! Also available in Peach. 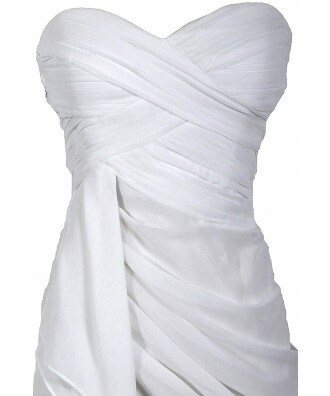 You have added Dreaming of You Chiffon Drape Party Dress in White into Wishlist. 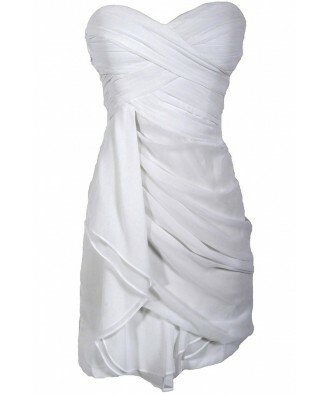 You have added Dreaming of You Chiffon Drape Party Dress in White for Stock Notification. 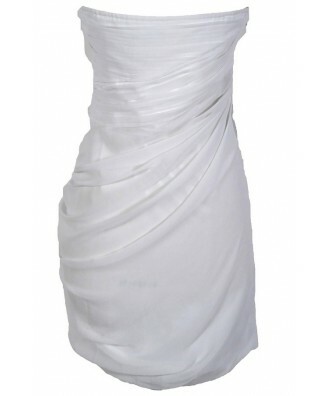 You have set Dreaming of You Chiffon Drape Party Dress in White as a loved product. 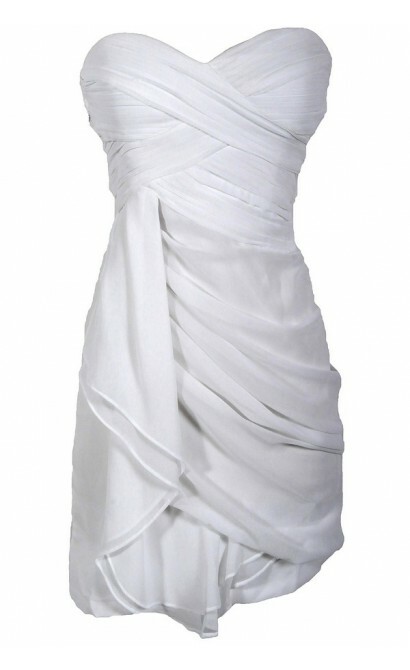 You have removed Dreaming of You Chiffon Drape Party Dress in White as a loved product.